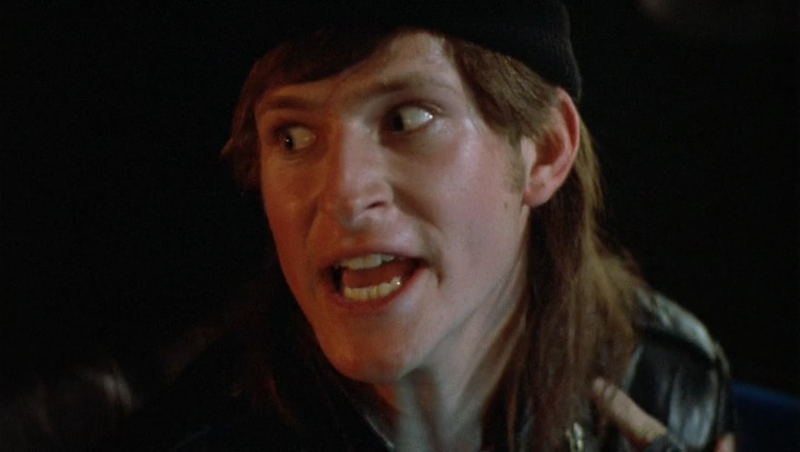 When a teen (Daniel Roebuck) tells his friends (Crispin Glover, Keanu Reeves, Ione Skye Letch, Roxana Zal, and Josh Richman) that he just murdered his girlfriend (Danyi Deats), they react with surprising nonchalance — until Layne (Glover) decides they need to protect their friend from the law, and enlists the help of an ex-biker (Dennis Hopper) in keeping Roebuck safe. 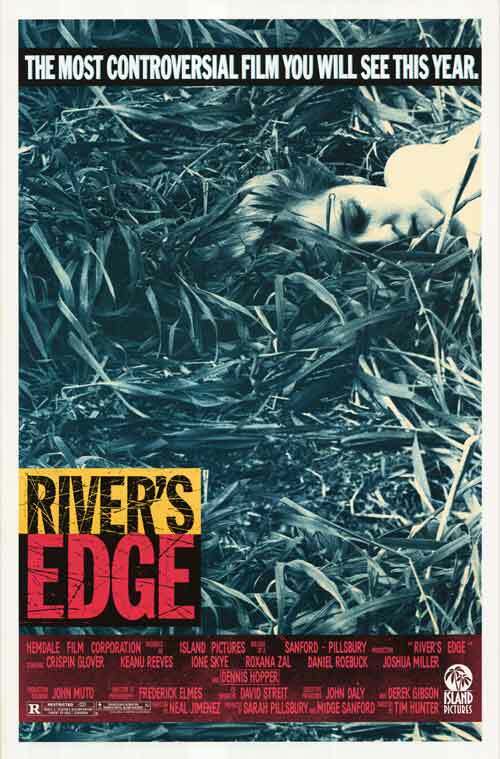 Based on a real-life murder that occurred in Milpitas, California in 1981, this bleak, nihilistic teen-flick is intentionally shocking, and has maintained its potency many years later, when social media would surely add an entirely new layer to the tragedy (indeed, River’s Edge serves as an important reminder that anomie, apathy, and group-think aren’t the result of online technology taking over youths’ lives — they’ve long existed). 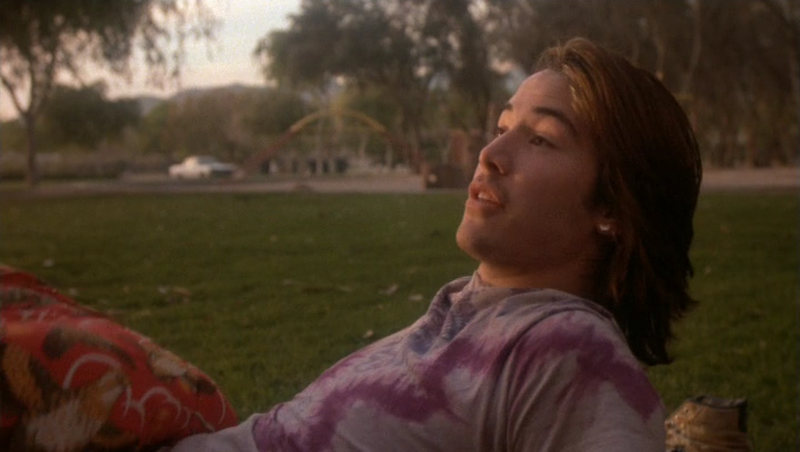 Screenwriter Neal Jimenez situates this group of aimless teens between two key adults: their former-activist high school teacher (Jim Metzler), who can’t seem to get over the loss of his era, and his counterpart (Hopper), an openly disturbed yet oddly sympathetic one-time murderer who finds solace in a life-size female doll (21 years before Lars and the Real Girl  became the best-known movie to cover this territory). Reeves and Skye — who strike up a steamy affair in the midst of the central conflict over “to tell or not to tell” — are presumably meant to serve as the film’s moral compass, but the presence of Reeves’ demonic younger brother (Joshua John Miller) indicates that generations aren’t trending in the right direction — and their pot-smoking, overwhelmed, divorced mom (Constance Forslund) is simply one clear symptom why. 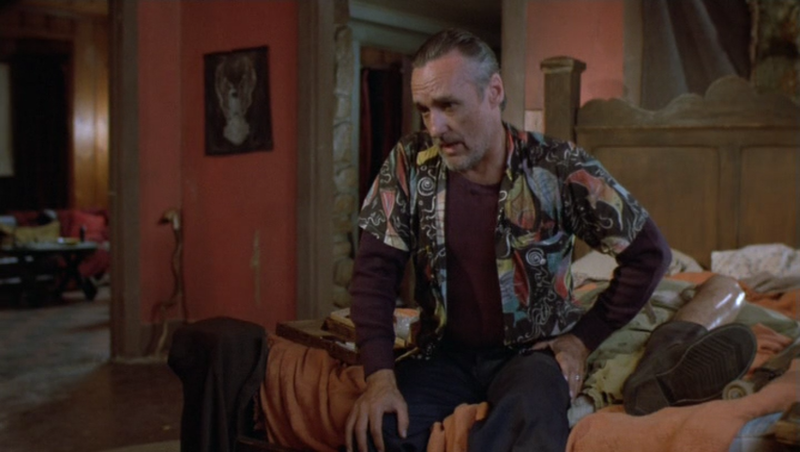 Crazed Glover ties with Hopper as perhaps the film’s most memorable character — a stoner and would-be leader with a passionate (if dysfunctional) sense of loyalty to the living. Note: Click here to read more from a reporter’s perspective on how the original murder case deviates from what was depicted on-screen. Yes, as a dark cult favorite. Listed as a film with Historical Importance and a Personal Recommendation in the back of Peary’s book. That said, for what it is, the film is competently handled by director Tim Hunter (who has mostly made a career in tv; not surprisingly, he helmed some episodes of the atmospherically related ‘Twin Peaks’, though he has also just finished a new Nicolas Cage feature). Of the performances, Roebuck stands out in a chilling portrayal (early in his career).